I have Chihuahua's and love to dress them up any opportunity that I can, holidays are the best! The've got so many cute outfits to choose from on my favorite online store and at great prices too! 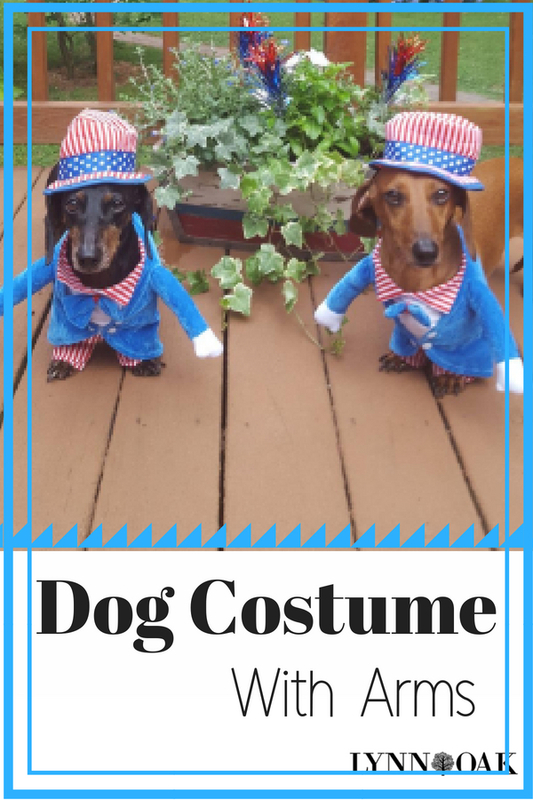 I'm in the market for a dog costume with arms, you know like Uncle Sam for 4th of July to the Captain Hook Pirate outfit for Halloween. So many to choose from, it's going to be hard to pick just one. I've found 5 that I put in my cart, now I just need to pick one of them. Ha! I'm sure I'll buy them all! I'l looking for an outfit that is cute first, then easy to put on also small enough to fit my little "Chip the Chihuahua". She's a tomboy and hates all things pink. lol! I really love this Uncle Sam outfit, it looks so cute with the red, white and blue hat. One lady shared a picture of her Dashounds and they are adorable in it. This one is so cute and comes in all sizes, I'm loving the pillow that says "in dogs we trust" so cute! This superhero costume is a hit with all the bigger sized dogs. These come in all sizes, and some of them say the size is off, so be sure and read the reviews before you purchase one for your dog. It's almost our Wedding Anniversary and my chip will look really cute in this outfit, so cute! Looks like she's holding roses in her hands. The geek in me loves this outfit, perfect for my weekend of binge watching of all things Star Wars.